When Kae Takeshita moved to the United States from Japan at age 19, she had big dreams of reaching for the sky in her new home. Literally reaching for the sky. “When I was 17, I came up with an idea that I wanted to be an airplane pilot, and came to the States alone when I was 19,” Takeshita said. Despite the challenge of living in a new country at a young age, Takeshita went on to graduate with a degree in Aviation Management and also obtained her pilot’s license. Now that she resides in the Chicago suburb of Itasca, Takeshita does not get up in the air as much as she used to, but she has replaced flying through the air with flying over the Midwest’s gravel roads at about 18 to 20 miles per hour. 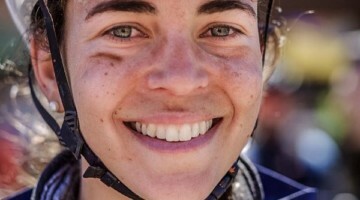 Takeshita has fully embraced the American style of gravel racing and is one of the top women riders on the non-existent Elite gravel tour. 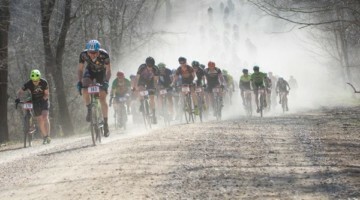 A budding sense of adventure has led to an impressive schedule of gravel races across the middle part of the U.S. for Takeshita. 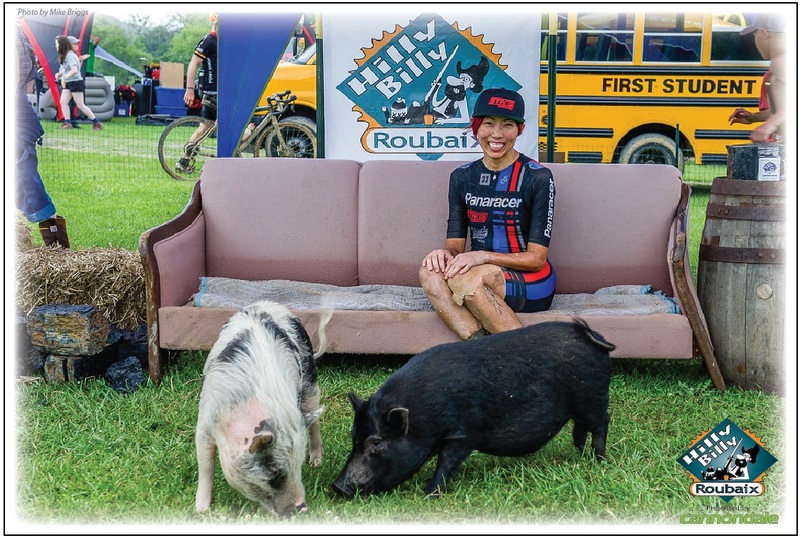 Just this year, she kicked off the season with a win at the Texas Chainring Massacre, took second at the Land Run 100 in Oklahoma, added a third at Barry-Roubaix in Michigan and last weekend, took home a win at the Hilly Billy Roubaix in West Virginia. Totally like flying … except for maybe the moose. Kae Takeshita’s journey to gravel racing started in her home town of Sapporo, Japan. When she was 17, Takeshita made up her mind to pursue being a pilot. Perhaps foreshadowing her sense of gravel adventure, she decided to move to the United States to attend college. At times, it was tough. “Having no overseas experience, with very little English skills, no one to depend on, I encountered many challenges,” she said about her first years in the U.S.
She survived and emergred with a degree and more. “I graduated university with a Bachelors in Aviation Management and got the FAA’s airmen licenses and rating,” she said about her education. Although she had achieved her goal, Takeshita’s career path took her in a different direction. She moved to the Chicago suburbs where she currently works in logistics for a shipping company. Fortunately for the grounded adventurer, she discovered bike racing. After growing up in Japan, using a bike to get somewhere really fast was a foreign concept for Takeshita. “Being from Japan where people use bicycles mostly for transportation, I did not even consider cycling was a type of sport,” she said about her early days in the States. 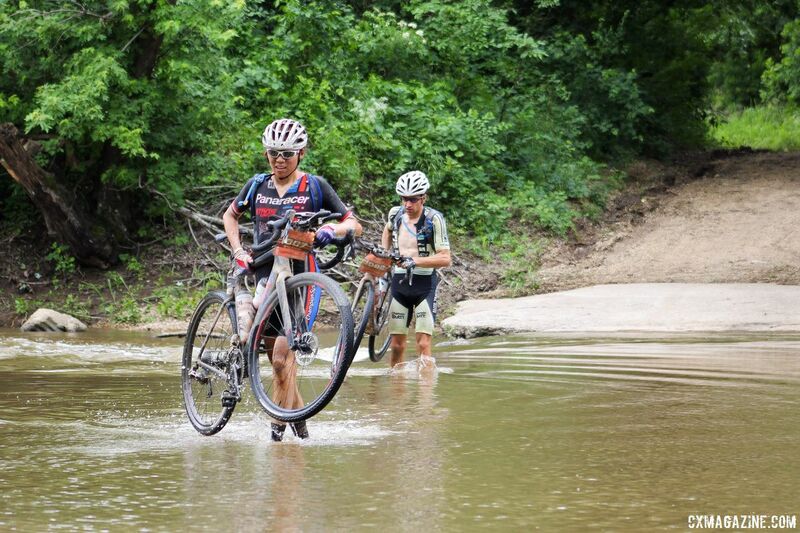 As it did for her fellow 2018 Dirty Kanza podium finisher Ian Tubbs, all it took for Takeshita to get into cycling was getting a bike. Of course, it helped that the bike was made for going fast. Takeshita’s story in cycling is one many of us who discovered the sport as adults can relate to. It started with a commuter. Then a road bike to go faster. Then after riding a lot, there was the first group ride. We all know where the story goes next. After joining that first group ride, Takeshita slowly started to expand her riding. “Starting with casual rides and century rides, I tried local crits, road and endurance road a little bit,” she said about getting deeper into cycling. 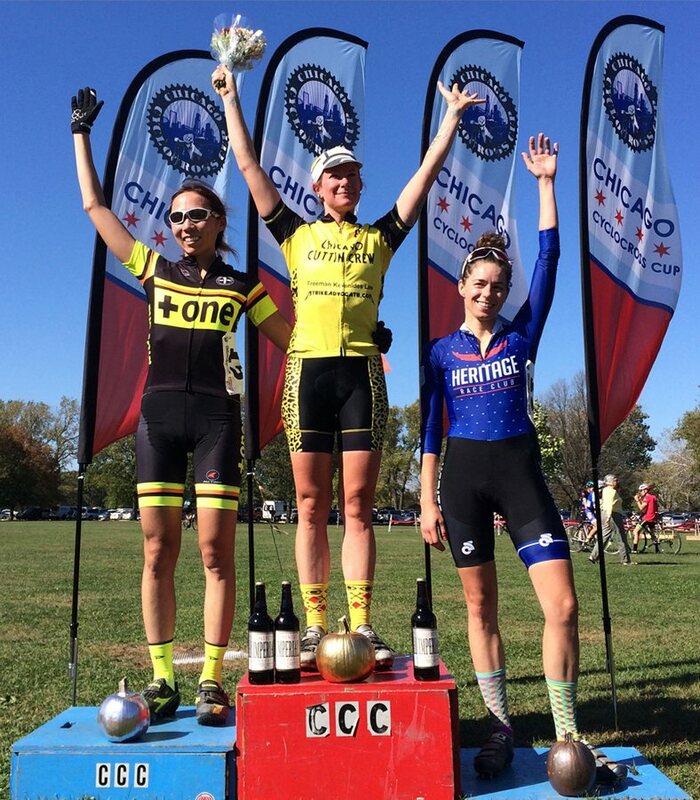 She also started racing cyclocross in the Chicago Cross Cup in 2014, where she quickly showed her affinity for dirt and rough terrain. Takeshita quickly moved up to the CCC’s Cat 1/2/3 field and finished as high as fourth before the end of her first year. In 2015, she was already a regular on Elite podiums in Chicago and Wisconsin. Takeshita’s bio on her team’s website shows some of her travels and the impressive results she has turned in thus far in her gravel career. She finished fifth at Barry-Roubaix in 2015, took fourth at the Hilly Billy Roubaix in 2016 and won Gravel Worlds in 2016. As they did in cyclocross, her results have only gotten better. She won Missouri’s The Epic in 2017 and then took second at Gravel Worlds behind Alison Tetrick later last year. With the exception of the encounters with incredibly large mammals, Takeshita came to get hooked on gravel racing for many of the same reasons Amanda Nauman and others have echoed. The discipline combines adventure with a sense of community that brings all participants together, no matter where they finish on the results sheet—if there is one. 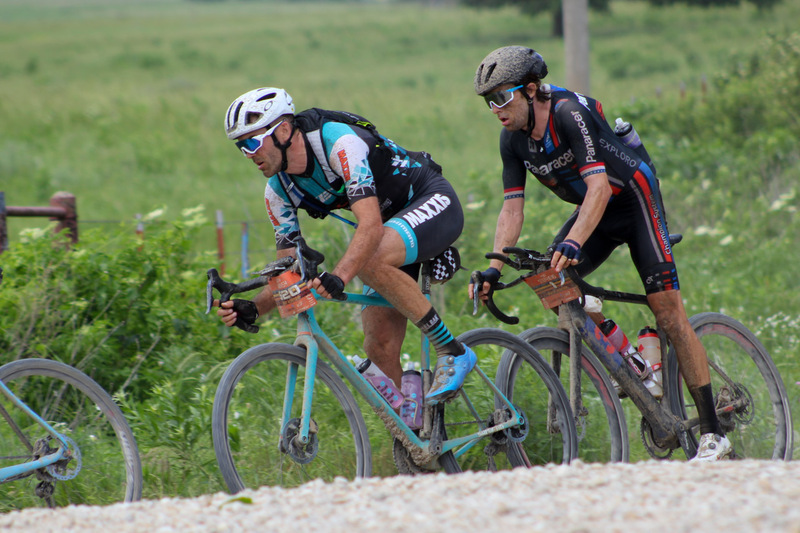 With the discipline still trying to figure out what it is going to be and teams not necessarily playing a very big role in races at this point, gravel “teams” are largely absent on the fictional gravel Pro Tour. 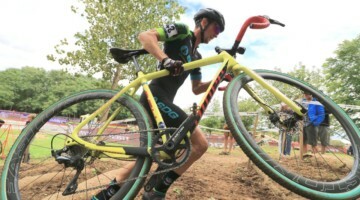 Cannondale sent an impressive confederation of current and retired athletes to the Dirty Kanza, but one of the few Elite teams squarely focused on gravel racing is the Panaracer / Stan’s NoTubes p/b Bicycle X-Change team that boasts 2017 Dirty Kanza winner Mat Stephens, 2017 Land Run 100 winner Karen Pritchard, two-time DK200 runner-up Michael Sencenbaugh, team founder Bob Cummings, 2017 Land Run 100 winner Rob Bell and 2015 Gravel Worlds Masters winner Mike Marchand as members. 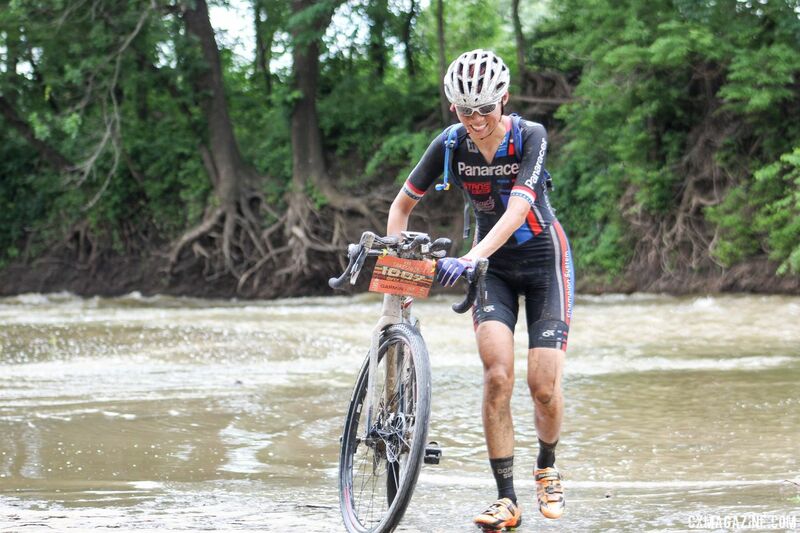 If you saw Takeshita racing in the Dirty Kanza 200 this year, you noticed she was wearing the black, red and blue kit of the Panaracer / Stan’s NoTubes p/b Bicycle X-Change team. Getting to be a member of the impressive gravel racing outfit was almost a missed connection for her. “In early 2017, when I happened to log in to an SNS website which I had not touched for many years, I found that Bob Cummings, the captain of the Panaracer/Stan’s NoTubes team had messaged me. Many months ago,” Takeshita said. Takeshita’s results in 2018 are those of a rider who has benefitted from her team’s support, and as we will see, perhaps from the Panaracer tires she gets to ride as well. More importantly, her team has provided a group of like-minded folks who are passionate about racing gravel and use aero bars while doing so. We will get to that soon as well. Thus far, Takeshita’s gravel story has been one of triumph and impressive success. However, any student who passed high school english knows a good story needs a gripping conflict. Despite all her success prior to this year, Takeshita’s white whale, if you will, has been the grand daddy of gravel racing, the Dirty Kanza 200. Takeshita first raced the DK200 in 2015, where she fell victim to the infamous mud year, despite her best efforts. “After the rear derailleur broke, I removed the broken part and adjusted my chain to make it a singlespeed, but the chain was already twisted badly and wouldn’t track,” she said about the race that forced her into a DNF. 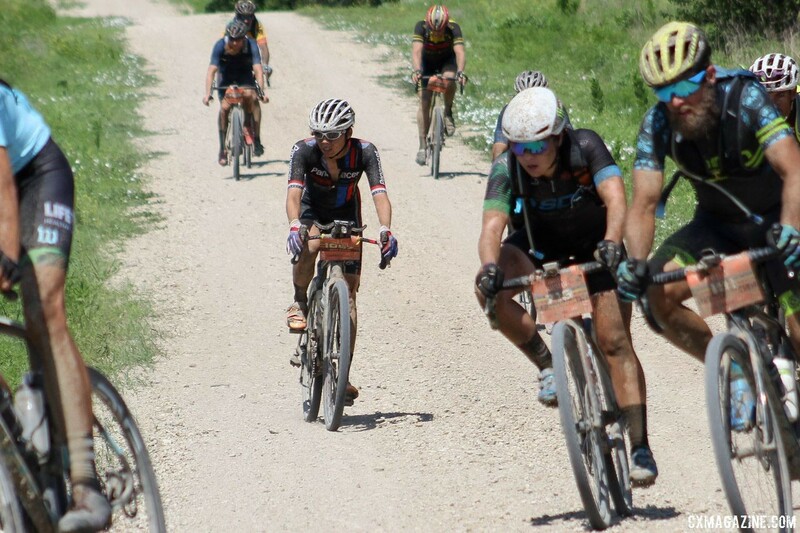 In 2018, Takeshita returned for her third try at the World’s Premier Gravel Grinder. With a healthy body, a new team and tires from her sponsor, she was ready to put the past behind her and have a good, albeit challenging, day in Kansas’ Flint Hills. During her time out on the Kansas course, Takeshita avoided the mud, flats and bad drivers and turned in a successful fourth-place performance at the 2018 Dirty Kanza 200. She finished the 206-mile race in 12 hours, 39 minutes, just 8 minutes behind 2017 winner and third-place finisher Alison Tetrick. While plugging into the brutal headwinds from Eureka to Emporia, Takeshita had the much-talked-about aero bars at her disposal. 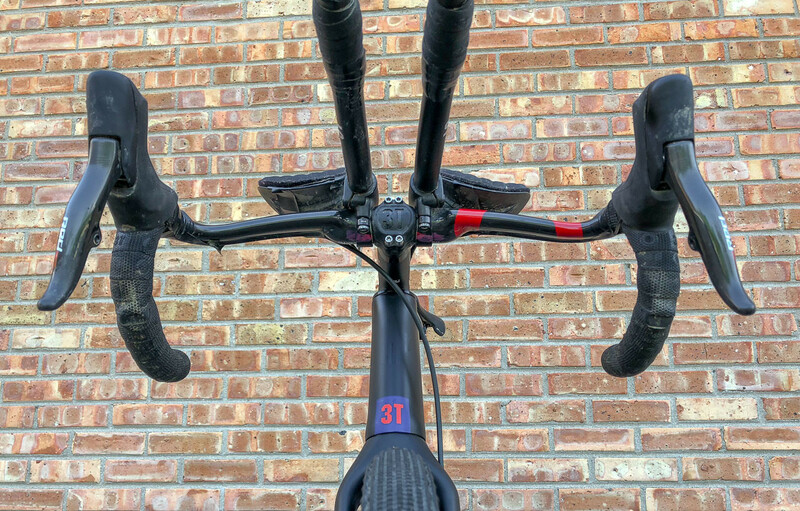 The team’s top riders are proponents of the benefits of aero bars for gravel racing, and each racer has a set at their disposal if race rules allow. Ian Tubbs, Ted King and Craig Richey talked about the benefits of aero bars at Dirty Kanza, and not surprisingly, so did Kae Takeshita. Kae Takeshita ran aero bars on her 3T Exploro Flatmount at the Dirty Kanza 200. Captain Ahab never caught his white whale, but Takeshita has finally conquered the famous Kansas endurance race. 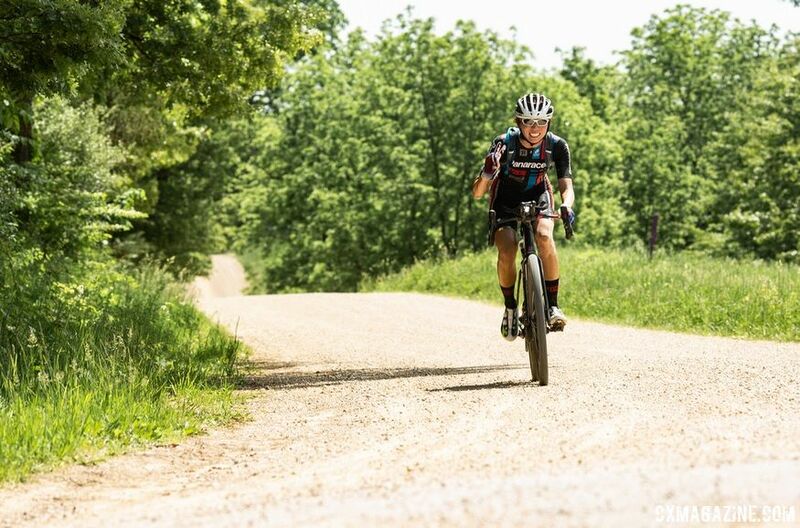 With Dirty Kanza success done and dusted, she is ready to continue on to the next adventure in her gravel career. If the writer were being lazy, he would say she is ready to soar in the gravel scene. Takeshita’s 2018 gravel season still has some unfinished business to attend to. 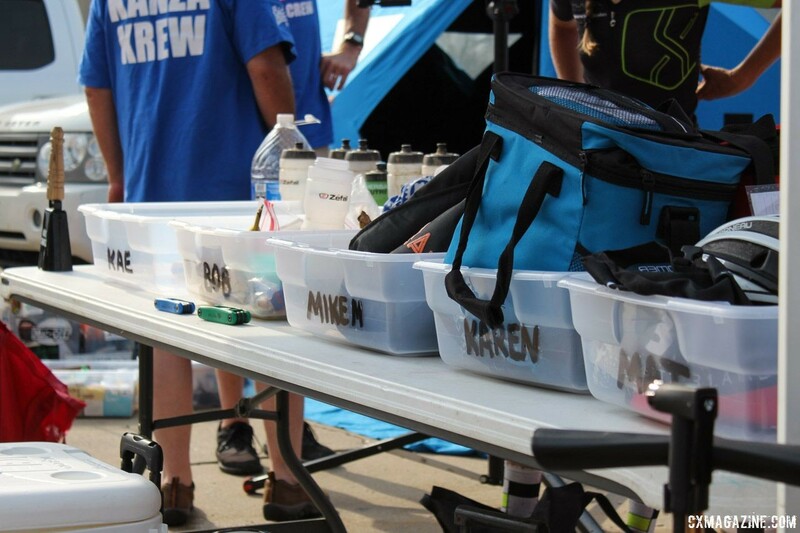 Foremost among these is Gravel Worlds in August, where she is looking to pick up her second win at the Nebraska race after finishing second in 2017. And ever the adventurer, she is also headed back to Kansas in September for the 119-mile Hondo (Hondo, not Hundo) put on by her team captain Bob Cummings. Whether she finishes first or barely beats the sun, Takeshita’s story is one that embodies what is appealing about the gravel discipline. It started with a bike and a sense of adventure and led to finding new friends and challenges along the way. The only difference between Kae Takeshita and the rest of us is she is much much faster. As she flies by on gravel roads, one can only conclude it is what you would expect from an adventurous women who first came to the U.S. to pursue her love of flying.